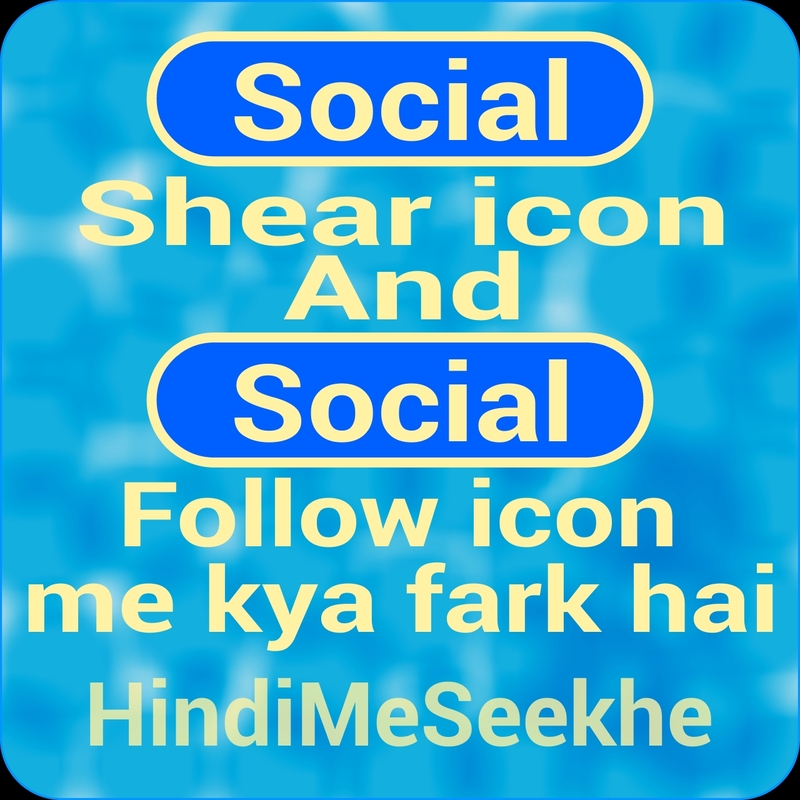 HomeKnowledgeSocial share icon or social follow icon me fark kya hai. Social share icon or social follow icon me fark kya hai. Hello friends... Is post me ham apko Social share or Social follow icon me fark batayenge. Friends ye do widget apne lagbhag har site me dekha hoga. Lekin apko do icon najar aate honge. Jisme se apko confusion hota hoga ki ye kya hai ? Asal me ye social widget hote hain. Jo ki kisi bhi site ke liye bahut jaruri hota hai. Ye site ki traffic badhane ke bhi kaam aate hain. Or site ke look ko bhi achcha karta hai. In do social widget ke bagair apki site adhuri hai. Blog ko design karne ke liye. Ham log template download karte hain. Jinme se jyadatar template me ye dono social widget hote hain. Ya dono me koi ek hote hain. Ya dono hi nahi hote. Jis template me ye social widget nahi hote. Us template me alag social widget add kiya jata hai. Or jis template me pahle se social widget add hote hain. Unme bas thodi si editing karni hoti hai. Fir apka social widget ready ho jata hai. Apke blog ya site ke liye. Ab baat karte hain dono social widget ke fark ke bare me. Ap ye image dekhiye. Ye mere blog ka social share button hai. Ab ap isme se Facebook par click kijiye. Apne dekha naa ki apko Facebook login karne ke liye bola gaya. Or agar ap pahle se facebook login hai. To apse shear karne ke liye puchha jayega ki ap is post ko kahan share karna chahenge. To ab ap samajh gaye honge ki ye button, post ko share karne ke liye hote hain. Taki ek hi samay me jyada se jyada logo tak. Post ko pahuchaya jaa sake. Social share button, visitors or blogger dono ke liye useful hai. Kyuki isase ham ek click se post ko share kar sakte hain. Waise to share karne ke liye. Direct post url se share kiya jaa sakta hai. Lekin itni mehnat koi nahi karega. Mere social shear button me 5 social sites hain. Jo mere har post ke niche hote hain. Par jyadatar social share button me jyada social sites add nahi hote. Lekin Facebook, Twitter or Google+ ye tin social share button jarur rahenge. Kyuki ye sabse famous social sites hai. Or kam-se-kam ye tin social sites, social share button me jarur hone chahiye. Or kai sare social share button hone ka matlab hai. Post ka jyada se jyada logo tak pahuchana, vo bhi sirf ek click par. Is image ko dekhiye. Ye mere blog ka social follow icon hai. Isme bhi ap Facebook par click karke dekhiye. Ap HindiMeSeekhe ki official Facebook page me pahuch jayenge. Or wahan apko is blog ke sare post milenge. Matlab agar apko HindiMeSeekhe blog pasand aa gaya ho. Or ap iske new post ko padhna chahte ho. To ap direct HindiMeSeekhe page ke jariye. New post tak pahuch sakte hain. Matlab social follow button. Visitors ko khud se jode rakhne ka or naye post ko seedha, apne visitors tak pahuchana hi social follow button ka maksad hota hai. Social follow button, apne visitors ko direct khud se jodne ka kaam karti hai. Ye kisi bhi blogger ya site maker ke liye vardan se kam nahi. Or sath hi visitors ko bhi apni pasandida blog ki new post padhne ko milti hain. To ab, ap samajh hi gaye honge ki social follow button hamare visitors ko khud se jode rakhne ka, ek bahut sundar madhyam hai. Mere blog me apko 5 social follow icon dikh rahe honge. Jo ki mere blog ke header me hota hai. Isme Facebook, Twitter or Google+ social sites hai. Lekin ek envelope apko dikh raha hoga. Use click karte hi ap email box me pahuch jayenge. Jahan se ap hame email kar sakte hain. Or ek feed burner icon hai. Jahan se ap, HindiMeSeekhe ko subscribe kar sakte hain. Taki koi bhi nayi post apko direct apke email me bhej diya jaye. Matlab agar ap social follow button, apne blog me lagate hain. To kam-se-kam ye 5 social button jarur rakhe. Social button do prakar ke hote hain. Ek simple text social button. Dusra icon social button. Mere blog me jo social share button hai. Vo simple text button hai. Jo ki blog ke fast loading ke liye helpful hai. Kyuki ye text hote hain. Jo load hone me jyada waqt nahi lete. Wahin mere jo social follow button hai. Vo social follow icon hai. Icon, yani us social sites ki chhoti si image. Icon load hone me thoda waqt jarur lete hain. 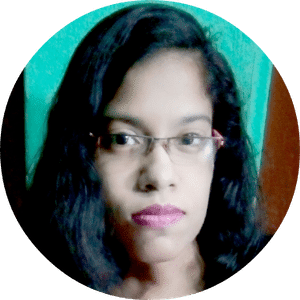 Par blog ke look ko kafi achcha kar dete hain. Or icon visitors ko jaldi dikhayi bhi dete hain. Or vo sidha apko follow karna suru kar deta hai. Isliye jyadatar blog me ap dekhenge ke share button simple honge. Par follow button icon hi hote hain. Bilkul is blog ke jaise. Agar ap chahte hain ki apka blog jyada-se-jyada log tak pahuche. To social share widget se jyada koi apki help nahi kar sakta. Or agar ap chahte hain ki apko daily 500 blog views mile. To social follow widget jarur lagaye. Ye dono hamare blog ke ranking or traffic badhane me hamari madad karti hai. To isliye inka mahatva har website me sabse upar hai. Agar apne Blogspot me site banai hai. To ap koi custom template bhi upload kar sakte hain. Jisme pahle se hi social widget wali template upload kare. Template chunte waqt waqt kin baato ka dhyan rakhe ? Ye ham pahle hi bata chuke hain. Lekin agar ap costume template upload nahi karna chahte. To bhi alag se social widget add kar sakte hain. Or agar apne Wapka.mobi se site banai hai. To wahan apko social shear or social follow code add karne honge. Kyuki wapka me pahle se jo share button diya hua hai. Vo kaam nahi karte. To apko alag se code add karna hi hoga. Wapka me social share or social follow icon kaise lagaye padhe. Hamne puri kosis ki apko achche se samjhane ki. Agar chhut gaya ho. To comment me puchh lijiye.